Hi again and happy October! We are having a beautiful October in Minneapolis, with cool nights and sunny, warm-ish days. The leaves are all falling off the trees and I’m more appreciative of seasons this year than ever before, likely because we’ve actually had seasons this year in Minneapolis, whereas last year we were robbed of both fall and spring. My family is in between travels right now, enjoying almost four whole weeks at home until we head to New York and then California. When we’re home for this amount of time I do a better job of having a well-stocked, organized kitchen, and we eat more meals at home. Sometimes I even make myself a really giant, restaurant-quality lunch during these periods of domesticity. Lately, I feel quite justified in doing just that, as I am with child and was also a nursing mother until about four days ago, and mama needs her calories. The only thing that could make it even more extraordinary, outstanding, or known or derived through the senses rather than through the mind is the addition of crispy bacon. But my fetus probably doesn’t need nitrates. 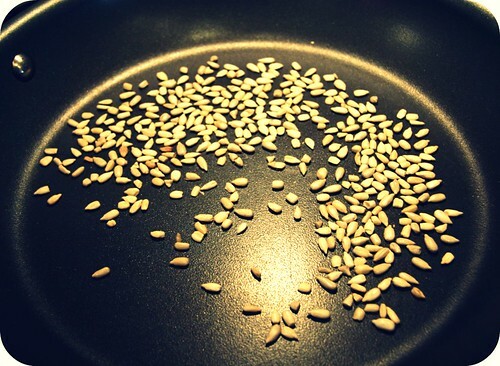 In a non-stick skillet, toast the sunflower seeds for about 2-3 minutes over medium heat, until starting to brown. Meanwhile, generously coat one side of each slice of bread with butter or margarine. Once sunflower seeds have browned a bit and are fragrant, turn the stove off and remove the seeds from the pan so they don’t continue to cook. 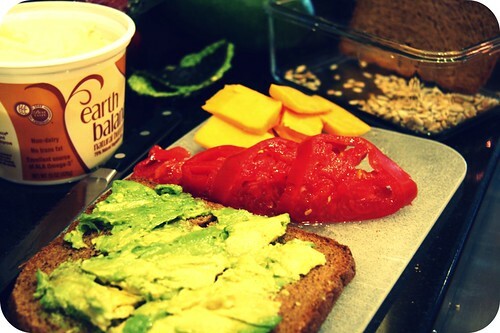 On one slice of bread, squeeze out the flesh of your half avocado and spread it as evenly (but thickly) as possible on the side that is not buttered. 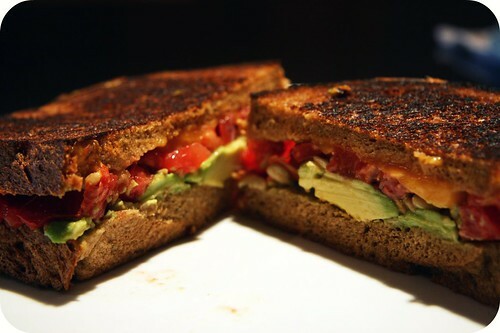 Sprinkle the toasted sunflower seeds on top and then the tomato slices. Salt and pepper to taste. Finally, gently add the cheese slices, careful to avoid overhang, and top with the second slice of bread, buttered side out. 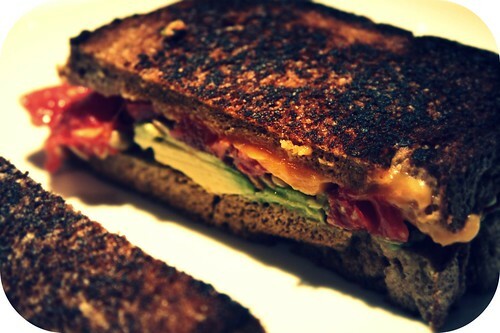 Turn on the stove to medium and carefully place the sandwich in the still-warm skillet. 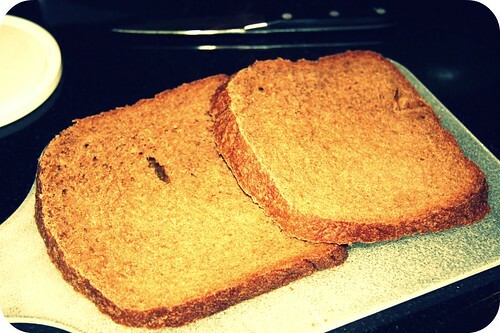 Toast for about 3 minutes or until down-side is lightly browned, then flip (I use two spatulas to do this). Toast for 3 more minutes or so – if cheese is not as melty as you’d like, place a lid on the skillet for a couple minutes (I always do that). Cut in half and enjoy! 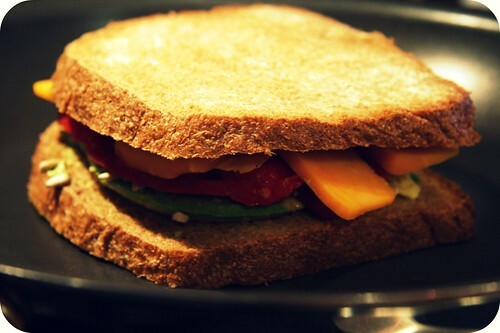 Note that this sandwich probably has a thousand calories, each one of them as delicious as the next. The butter/margarine is not the issue – I used less than a tablespoon and it was plenty. It’s the cheese and avocado, which you could of course use less of. Or you could split it with someone, if you are not a pregnant woman. **Pick one that would be good for melting and note that the more flavorful the cheese is, the more it will overpower the other ingredients. I used a mild colby jack.